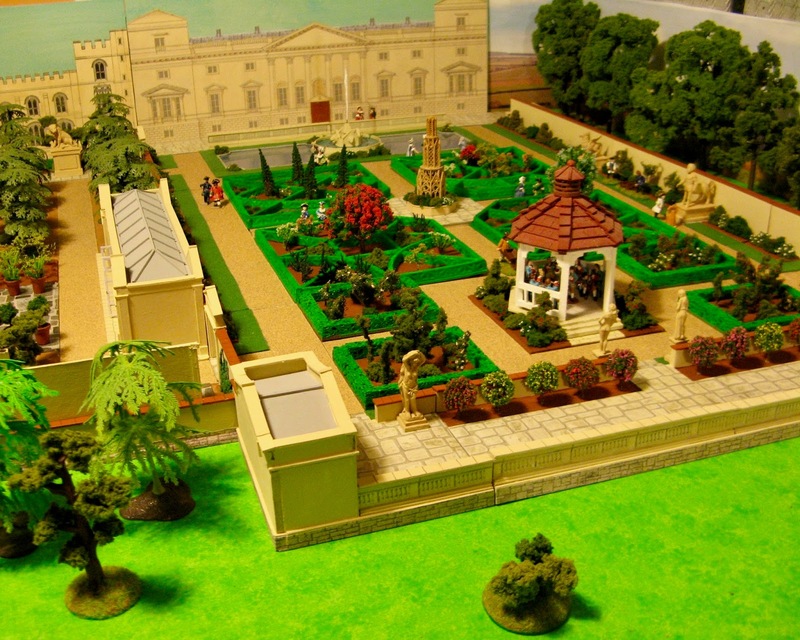 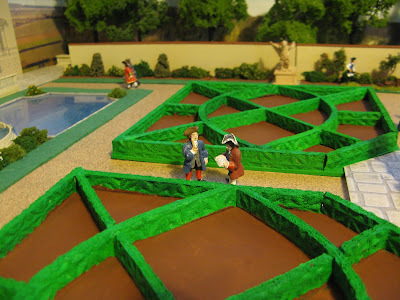 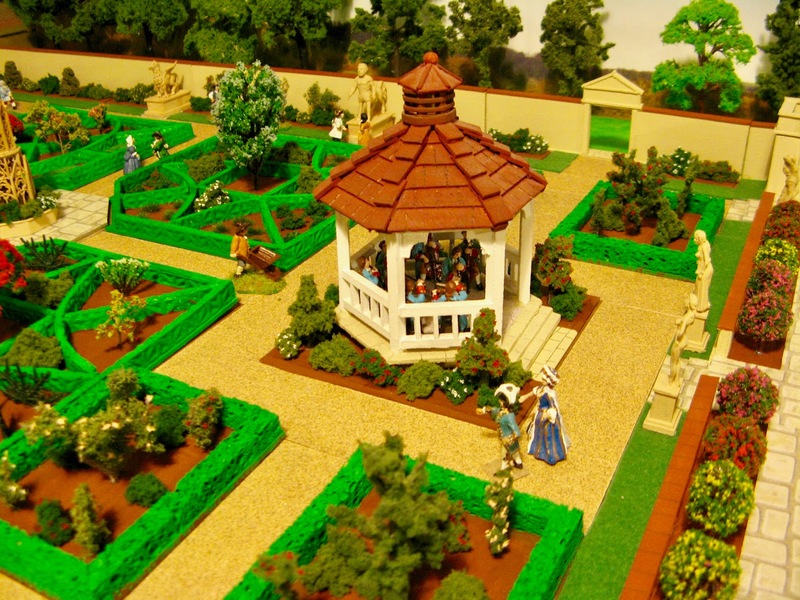 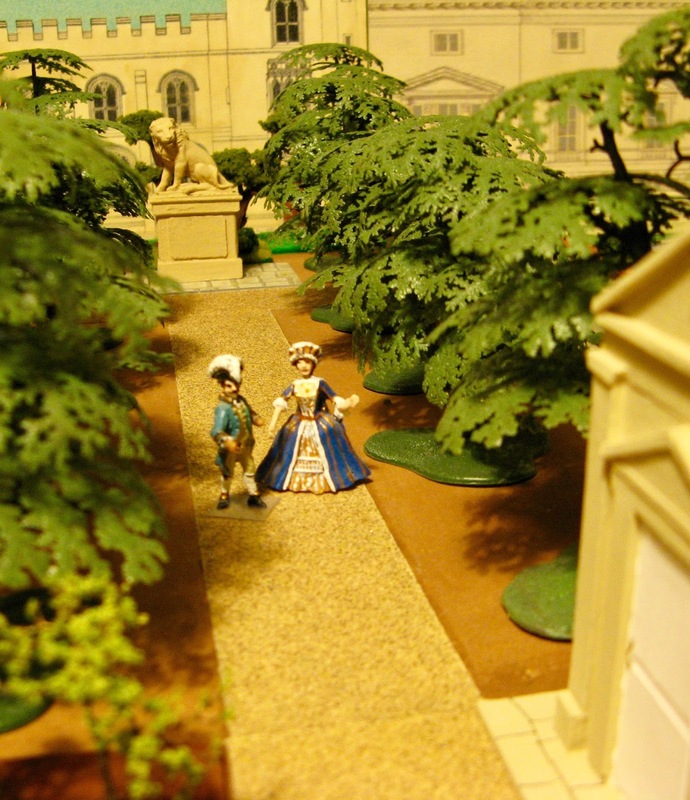 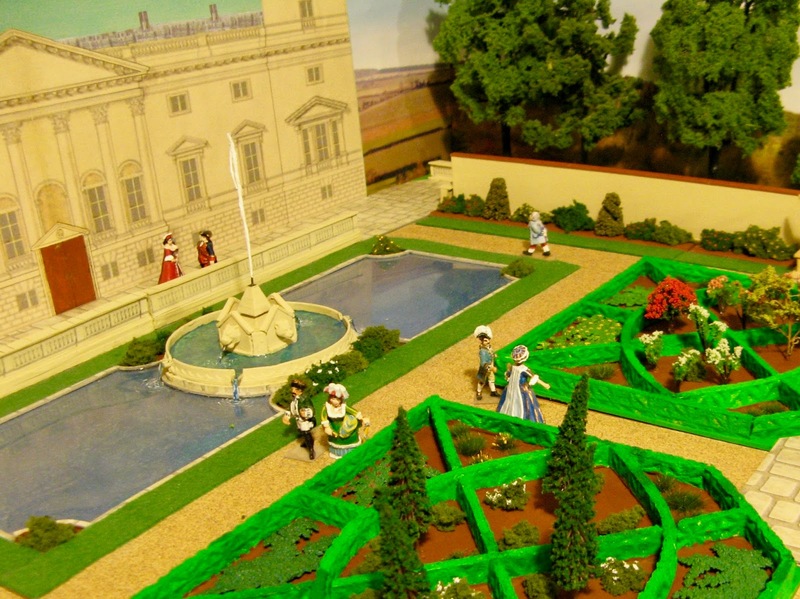 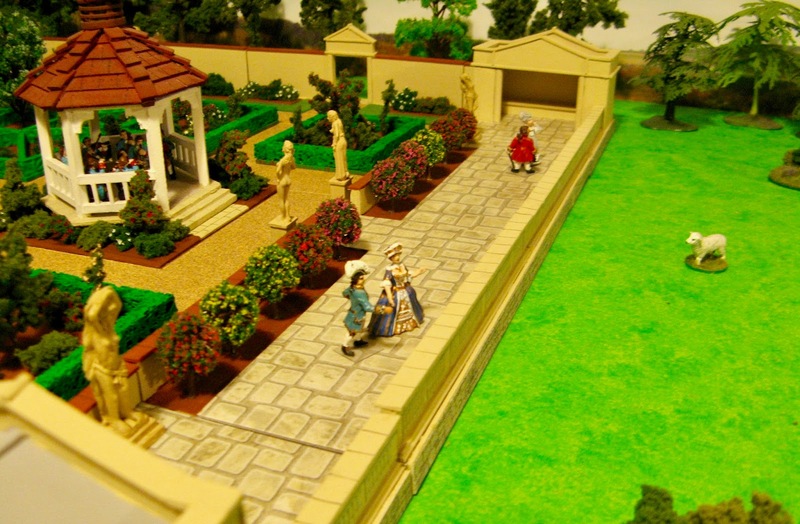 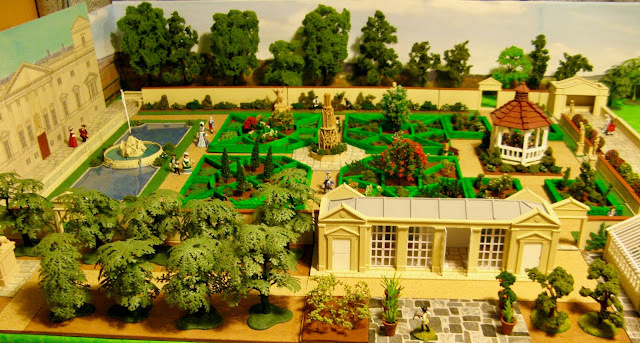 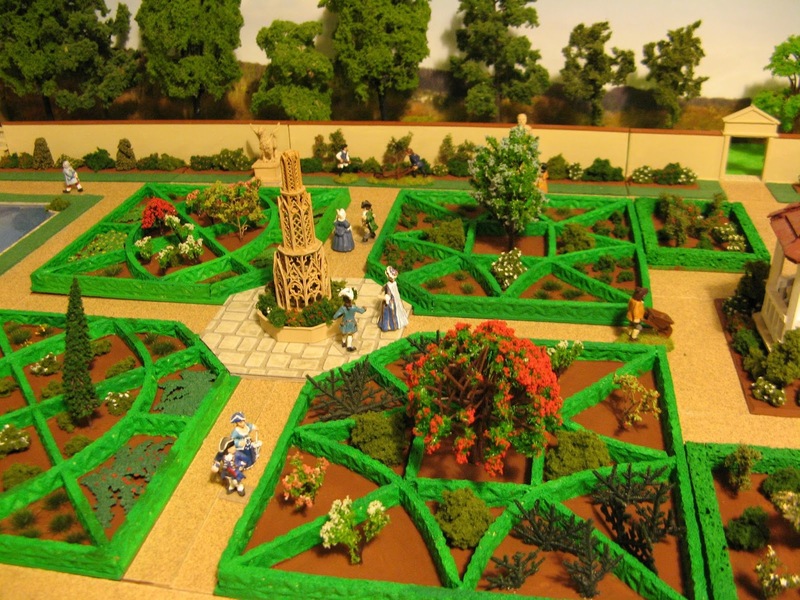 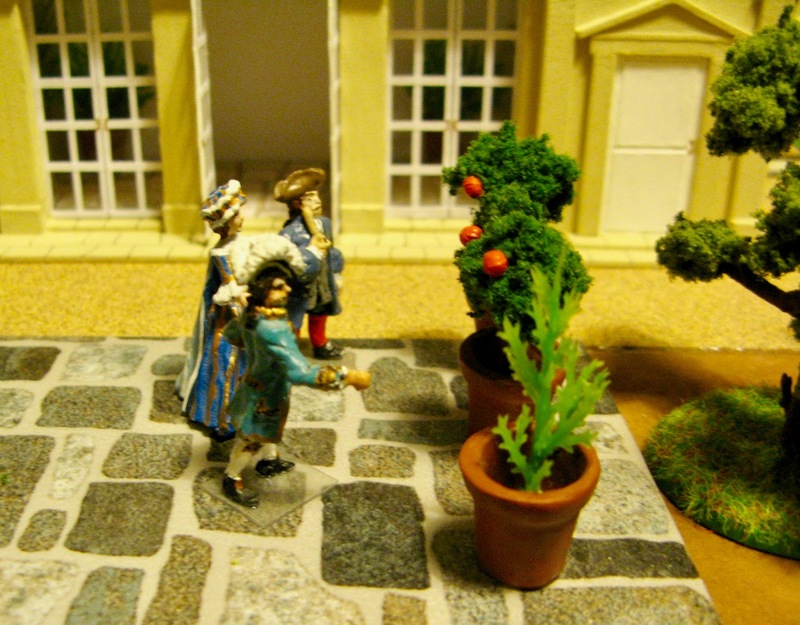 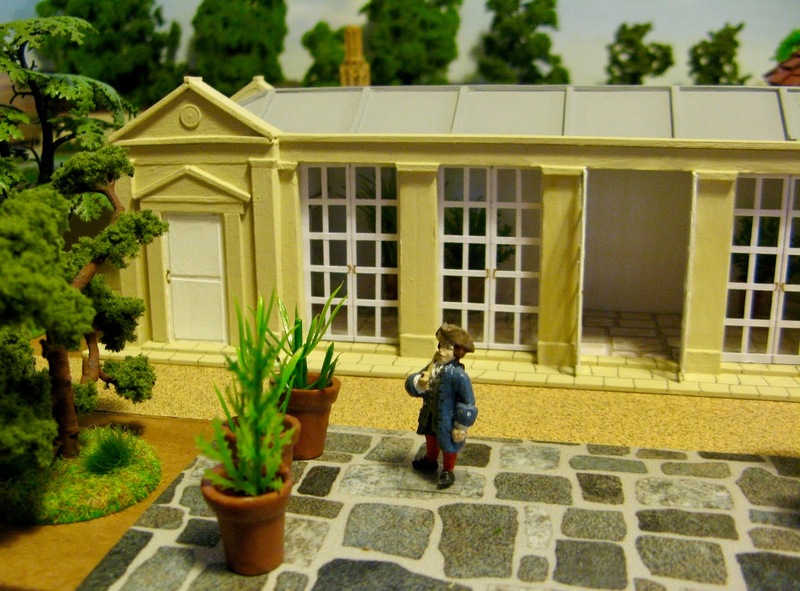 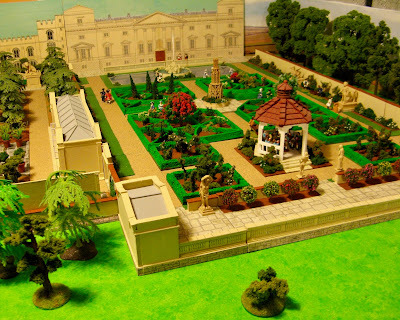 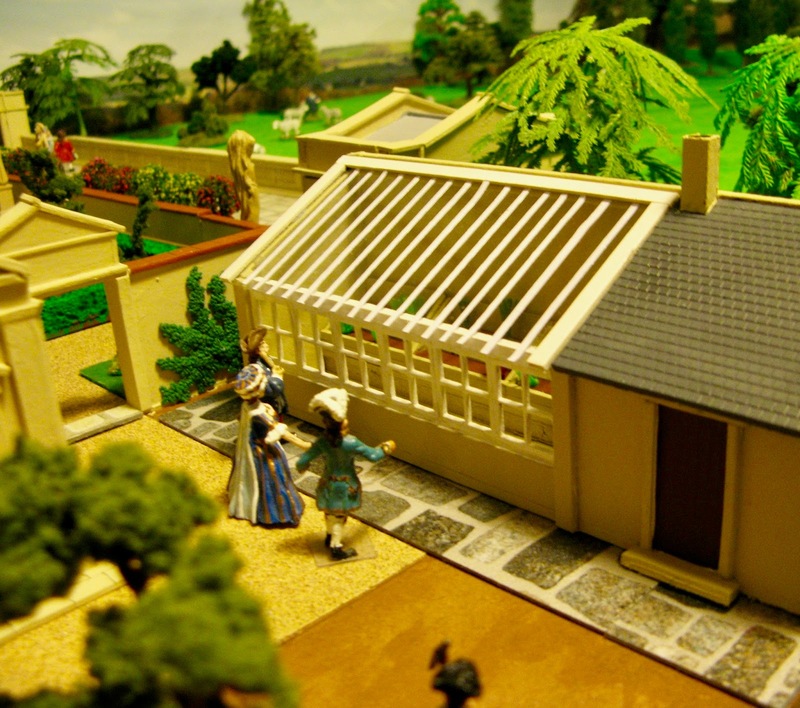 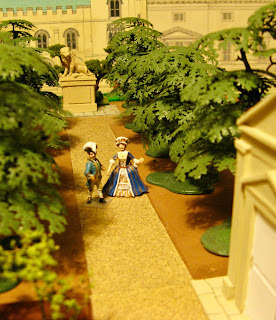 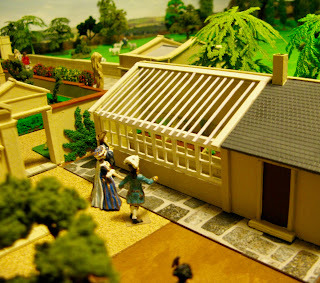 Its a lovely sunny day and the King and Queen have gone out to see how the palace gardens look now it has all been planted up. 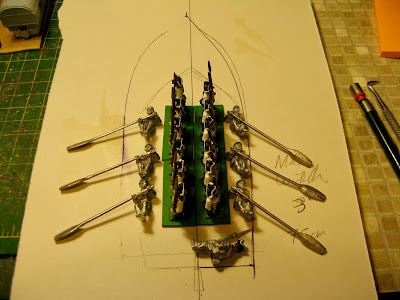 I started off by making up an outline on a piece of card and arranging the figures on it. I decided to have 6 rowers and be able to hold 12+ figures. 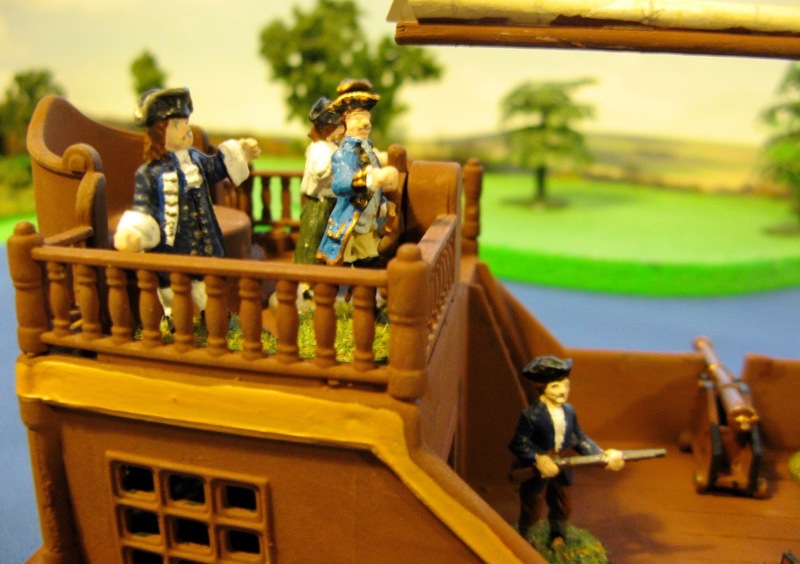 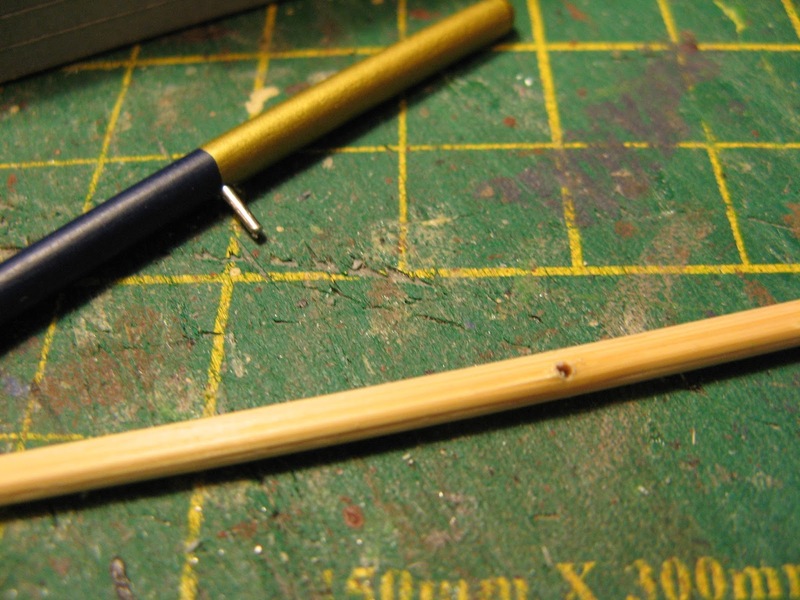 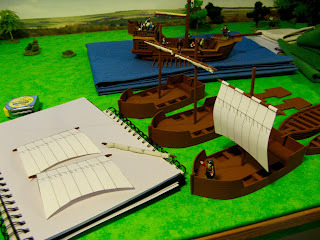 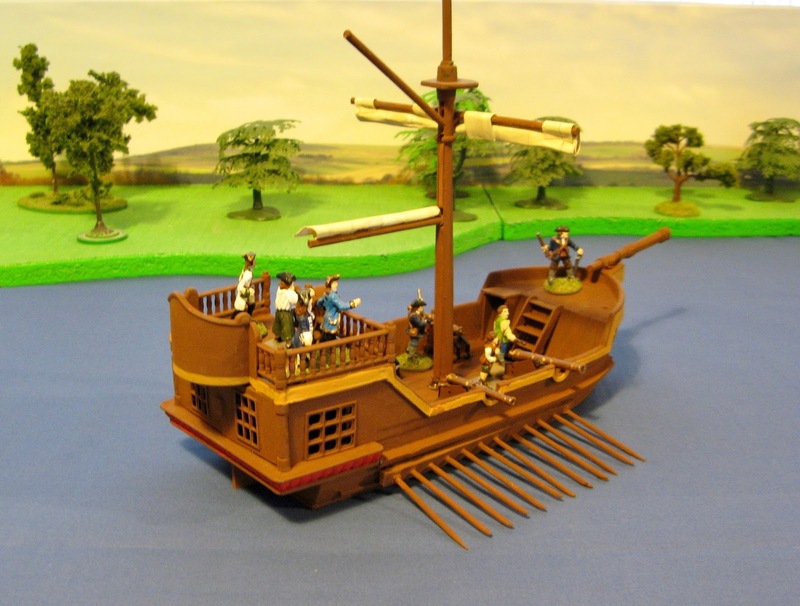 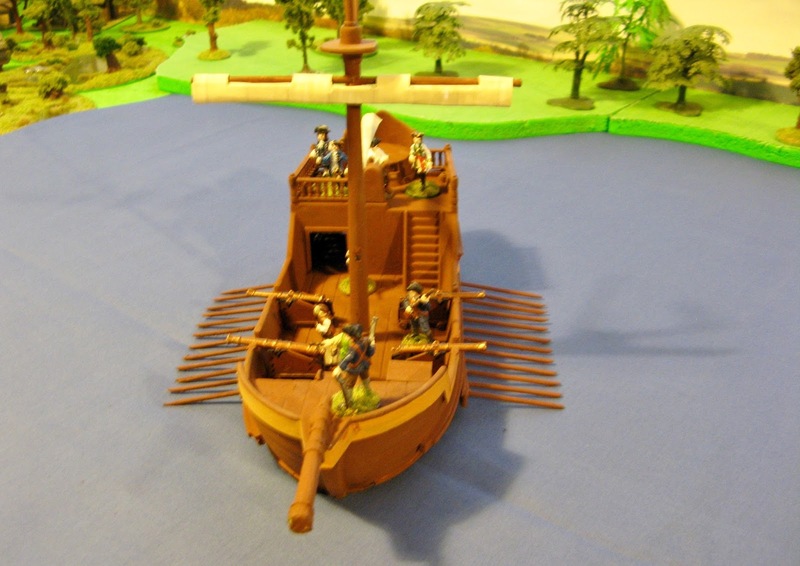 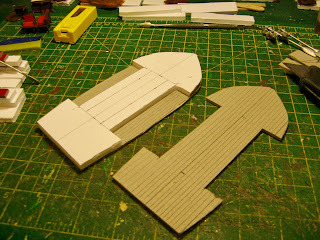 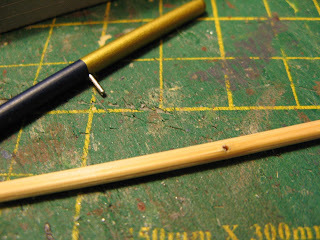 The construction method would use the same scheme as for the small boats I made for use on my 17C bridge of Boats. I made the base out of thicker cardboard, with a spacer from foamboard and a deck from cardboard. 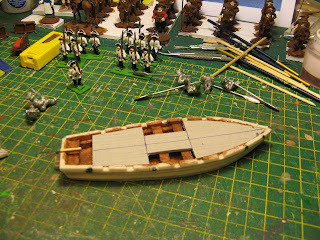 I've been planning some improvements to boats etc for use in games. 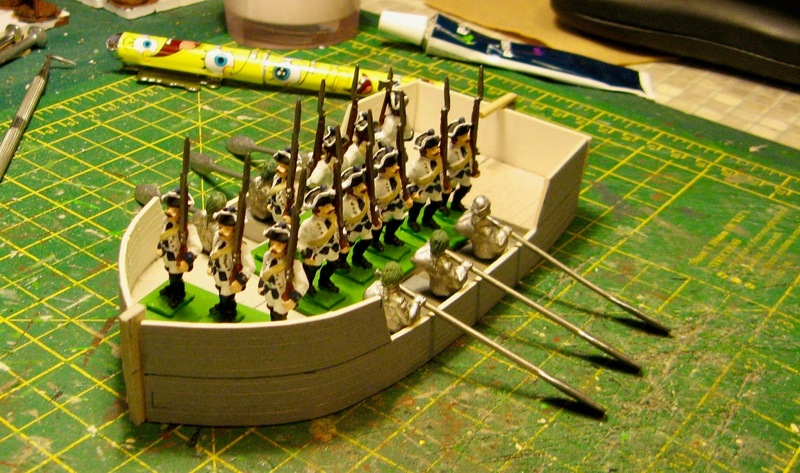 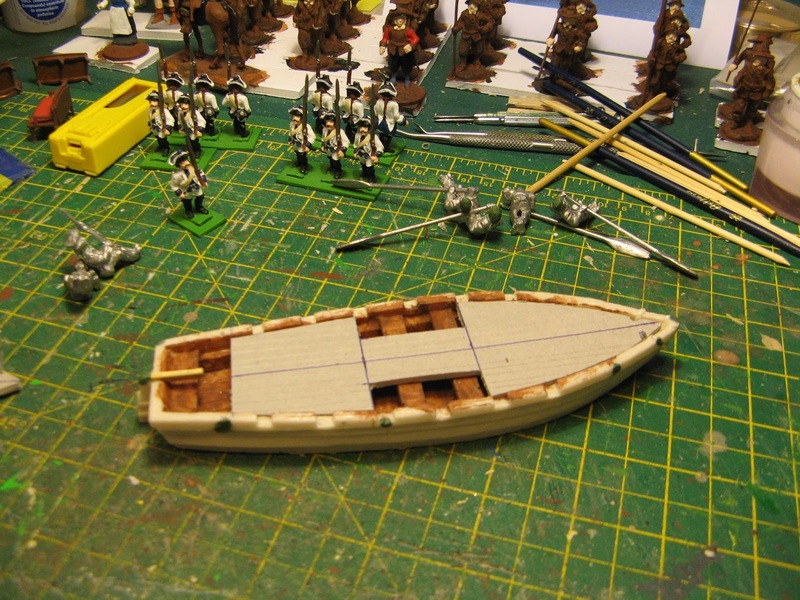 I decided to make up a small rowing boat and I wanted a larger boat for transporting troops for small raids etc. 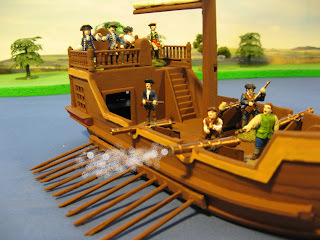 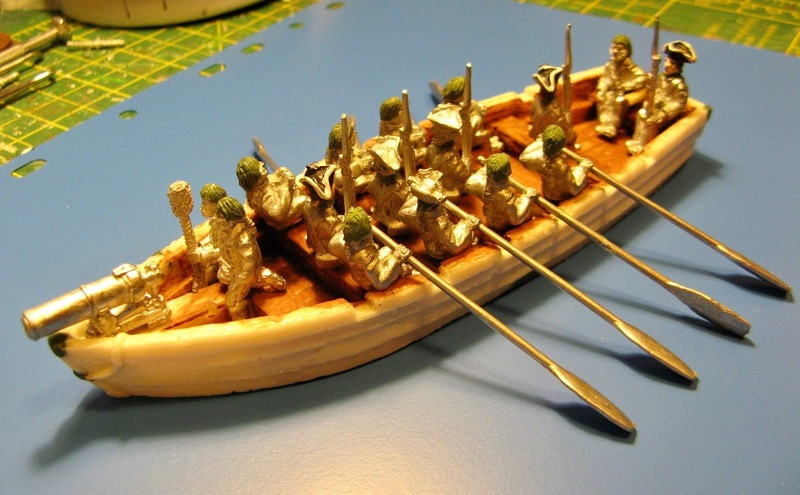 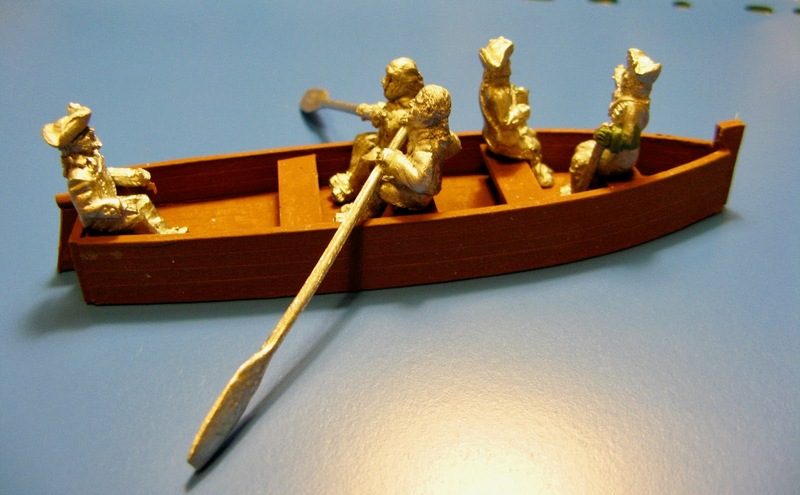 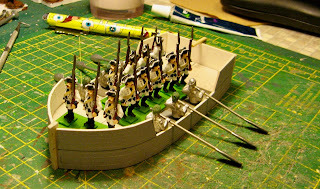 To start with I bought a Britannia Miniatures royal navy landing boat with crew (code BRW4); this gave me 10 rowers and some seated figures - these are napoleonic naval figures so they need some conversion. 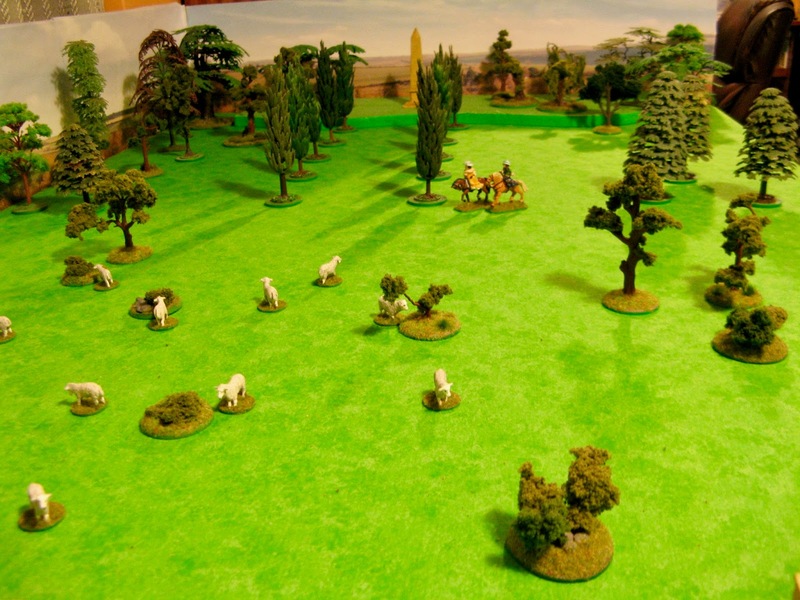 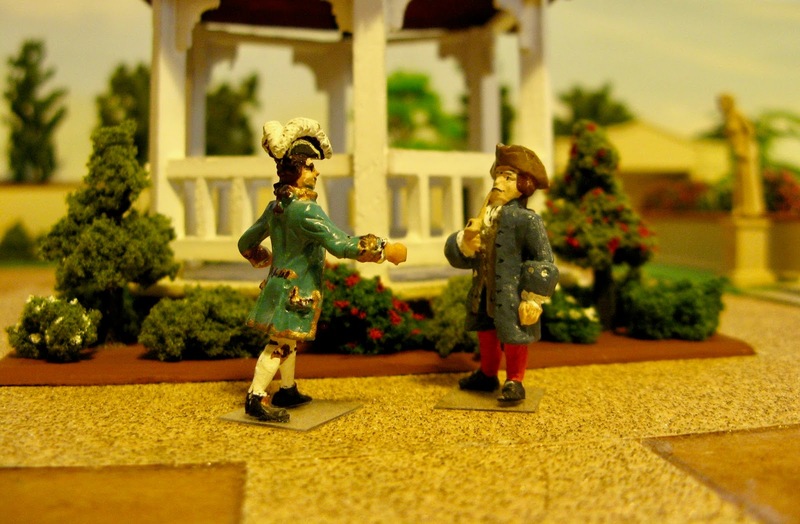 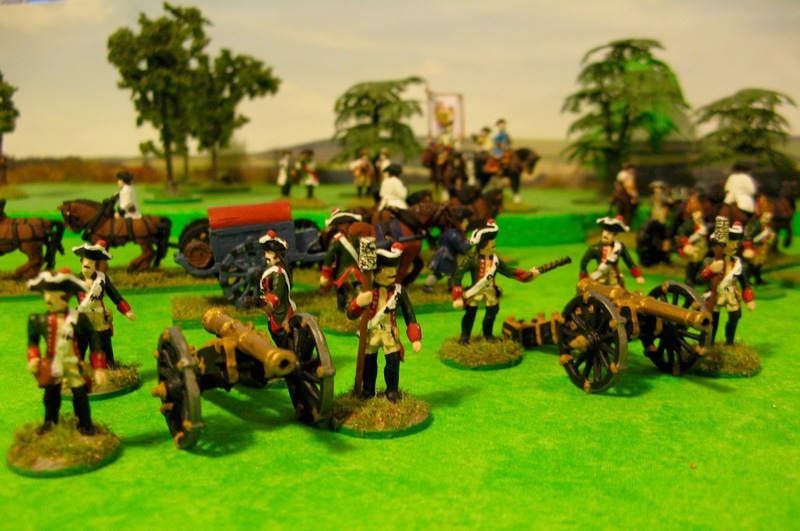 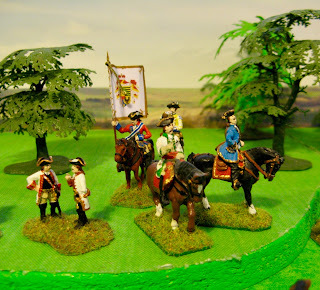 The Britannia Miniatures were modified: the marines had their heads swapped to ones with tricornes and the rest had their hats removed and altered to be bareheaded. 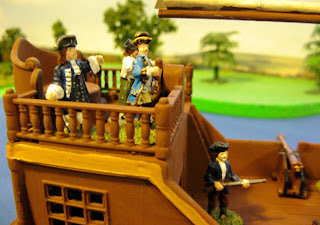 I altered the tiller man to have a tricorne as well. 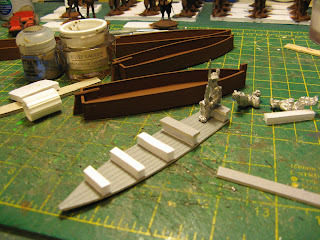 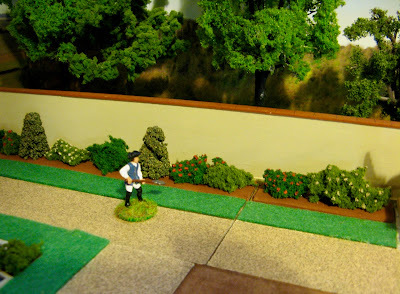 In addition I made up two officers by converting two cart driver figures from Colonel Bills. 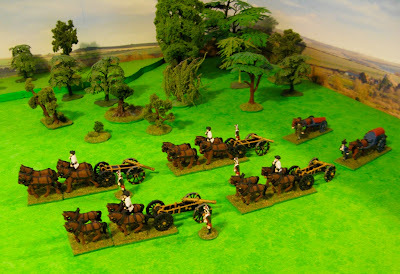 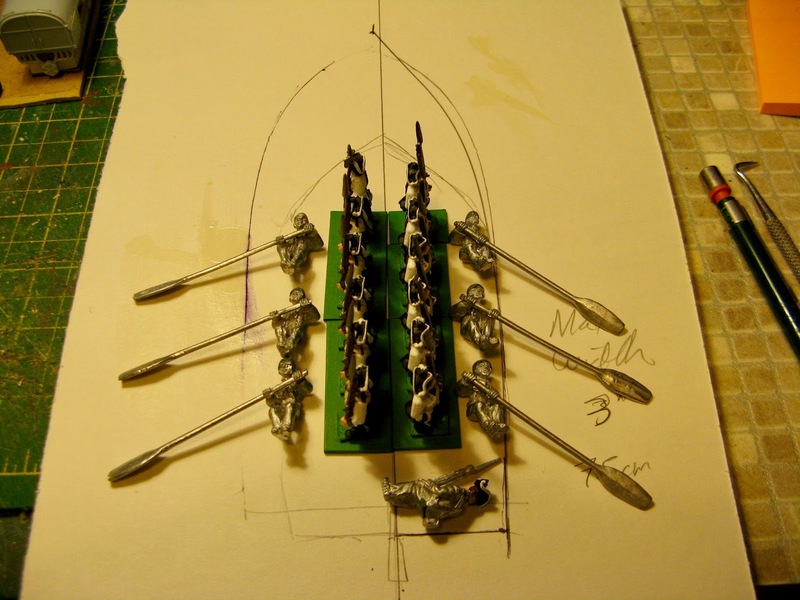 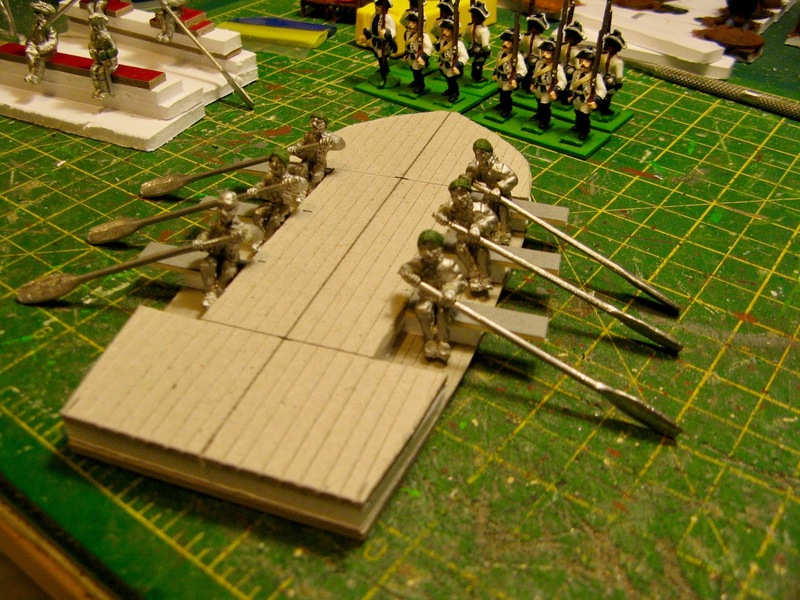 this will allow the use of 4 rowers and a tillerman, with figures standing on the planked deck (saves me having lots of sets of seated figures). 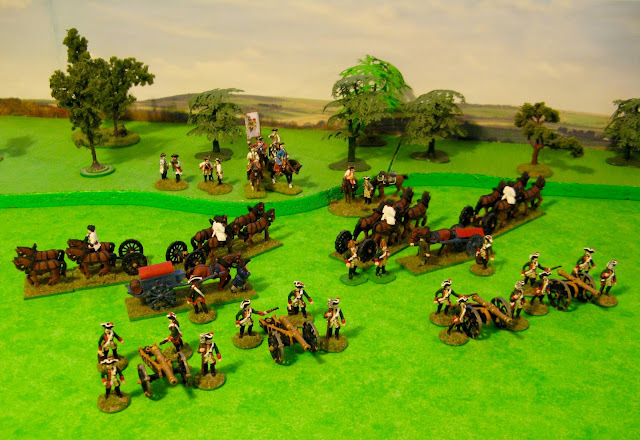 The King has joined the Field Marshal to review the artillery of the Wittenland and Guard corps..